The acidproof construction as part of the surface protection provides a permanent protection towards aggressive media. By the application of suitable materials it serves on the one hand for maintaining the value of industrial plants and on the other hand for protecting the environment and the nature. 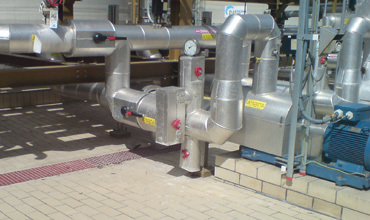 Typical application fields of the classic acidproof construction can be found in the area of processing plants of our customers. In this case chemical-resistant and liquid-tight coats, the so-called sealing layers, are applied onto the surface of the object (component). As additional protection against mechanical and thermal stresses, bricks and tiles mainly made of acidproof ceramic, carbon or cast basalt depending on the stress are applied as so-called combination coatings in composite construction with the sealings. They are either completely layed and pressed into the first applied mortar or first laid onto the substrate and the joints are subsequently filled with elutriation mortar by using high resistant synthetic resins. The choice and the application of these materials require excellent know-how. If you are interested you can also ask for corresponding reference objects. Epoxy resins, polyester resins, vinyl resins, polyurethane resins, furan and phenolic resins. Natural rubber, butyl rubber, bromobutyl and chlorbutyl rubber.